“The civilization of New England has been like a beacon lit upon a hill, which, after it has diffused its warmth immediately around it, also tinges the distant horizon with its glow. “The foundation of New England was a novel spectacle, and all the circumstances attending it were singular and original. Nearly all colonies have been first inhabited either by men without education and without resources, driven by their poverty and their misconduct from the land which gave them birth, or by speculators and adventurers greedy of gain. Some settlements cannot even boast so honorable an origin; Santo Domingo was founded by buccaneers; and at the present day the criminal courts of England supply the population of Australia. “The settlers who established themselves on the shores of New England all belonged to the more independent classes of their native country. Their union on the soil of America at once presented the singular phenomenon of a society containing neither lords nor common people, and we may almost say neither rich nor poor. These men possessed, in proportion to their number, a greater mass of intelligence than is to be found in any European nation of our own time. All, perhaps without a single exception, had received a good education, and many of them were known in Europe for their talents and their acquirements. The other colonies had been founded by adventurers without families; the immigrants of New England brought with them the best elements of order and morality; they landed on the desert coast accompanied by their wives and children. But what especially distinguished them from all others was the aim of their undertaking. They had not been obliged by necessity to leave their country; the social position they abandoned was one to be regretted, and their means of subsistence were certain. Nor did they cross the Atlantic to improve their situation or to increase their wealth; it was a purely intellectual craving that called them from the comforts of their former homes; and in facing the inevitable sufferings of exile their object was the triumph of an idea. “The immigrants, or, as they deservedly styled themselves, the Pilgrims, belonged to that English sect the austerity of whose principles had acquired for them the name of Puritans. Puritanism was not merely a religious doctrine, but corresponded in many points with the most absolute democratic and republican theories. It was this tendency that had aroused its most dangerous adversaries. Persecuted by the government of the mother country, and disgusted by the habits of a society which the rigor of their own principles condemned, the Puritans went forth to seek some rude and unfrequented part of the world where they could live according to their own opinions and worship God in freedom. 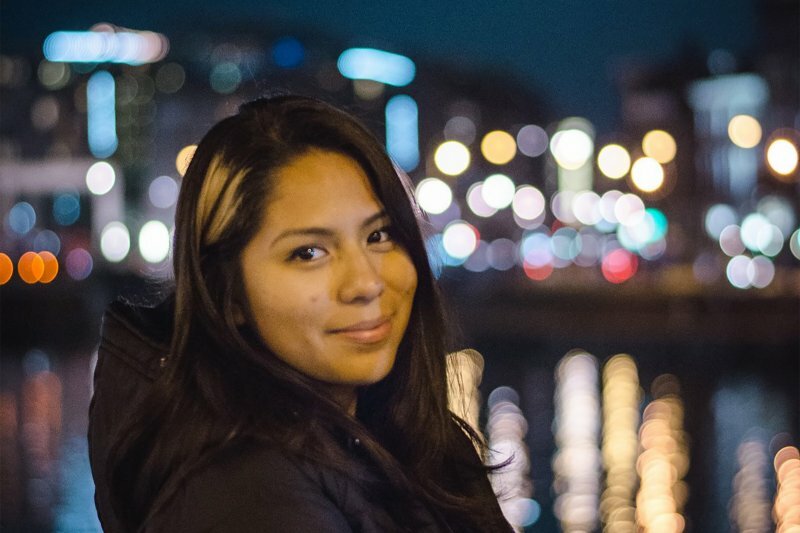 This beautiful, young American, Nohemi Gonzalez, was murdered in cold blood on November 13th in Paris by ISIS terrorists. On Thursday, November 12th, President Obama told ABC News anchor George Stephanopoulos that ISIS is “contained.” The very next day, in Paris, France heavily armed ISIS terrorists went on a rampage and killed at least 129 innocent people and wounded about 350 others. 99 of those wounded are in critical condition. Once again, President Obama has been caught trying to deceive not just the American people, but the entire world. Remember, it was this foolish man, the man who has been entrusted with more power than anyone to combat world terrorism, who in 2014 referred to ISIS as “J.V.” or Junior Varsity. * It is true to say that the Obama Administration’s effort to deflect from its failure to protect American lives in Benghazi, was done simply to avoid losing an election. This incompetent leader spends so much time covering up his failures. The result of his deception is that too many unthinking Americans and Obama supporters have been lulled into a false sense of security. This can only happen in a society where a large part of the media is corrupted and complicit in the deception. Propaganda is used by the likes of MSNBC, CNN, Politico, Huffington Post, Media Matters, Thinkprogress.org, The New York Times and other “news” outlets to conceal the truth about the state of our nation. President Obama is now welcoming Syrian refugees into the United States. And with all that is going on in the world he refuses to seal America’s borders. How is this a good thing? Wake up people, before it’s too late. Although Barack Obama’s last day as President won’t come soon enough, it won’t really matter unless we elect a more competent, and honest person to be our next President. That certainly excludes, Bernie Sanders and Hillary Clinton. Hats off to the Washington Post which did see fit to award President Obama with four Pinnochios for trying to mislead people about what he had previously said about ISIS. It brings a glimmer of hope that there may still be some in the news business with integrity even at liberal-leaning Washington Post.